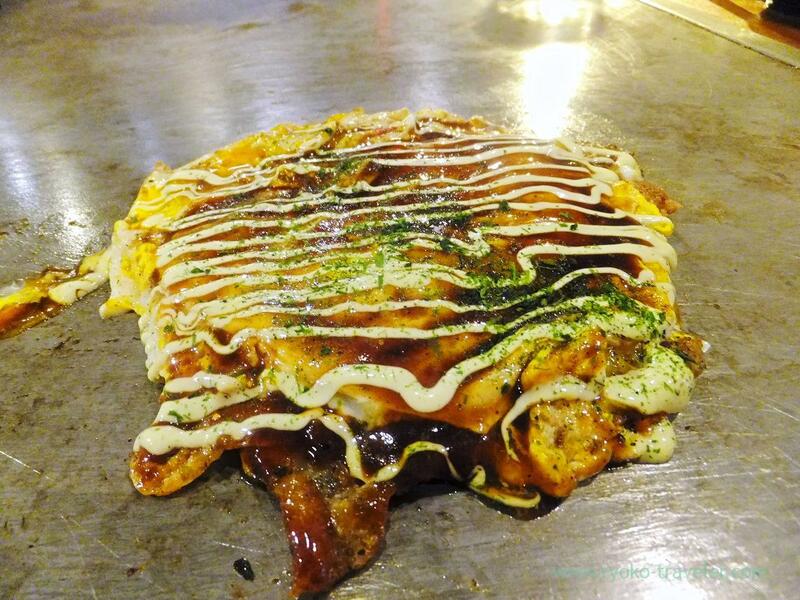 When you are in Osaka, you have no choice but eat okonomiyaki ! After enjoying USJ to our hearts’ content, we went back to Namba that have our hotel. We took a night meal here. 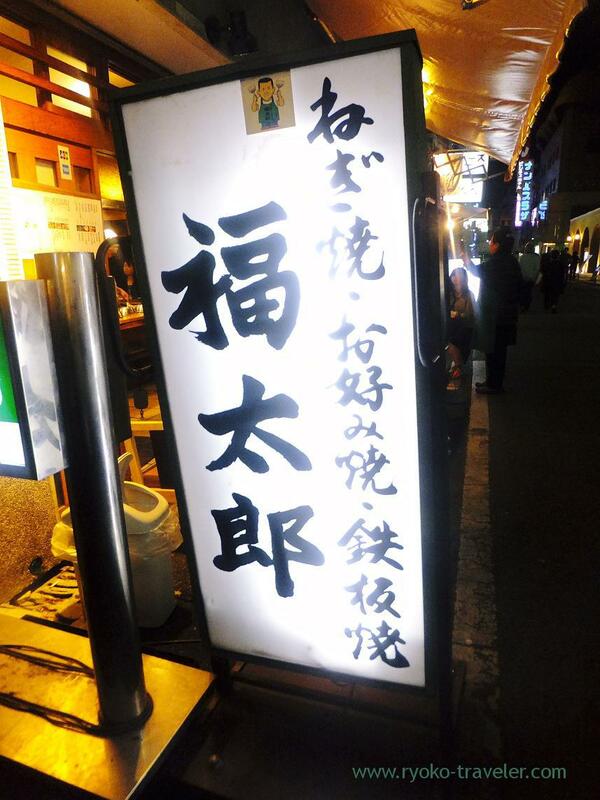 It is a restaurant of teppanyaki. Somebody or other was waiting all day in front of the shop. So popular shop. At first, we ordered our drink. 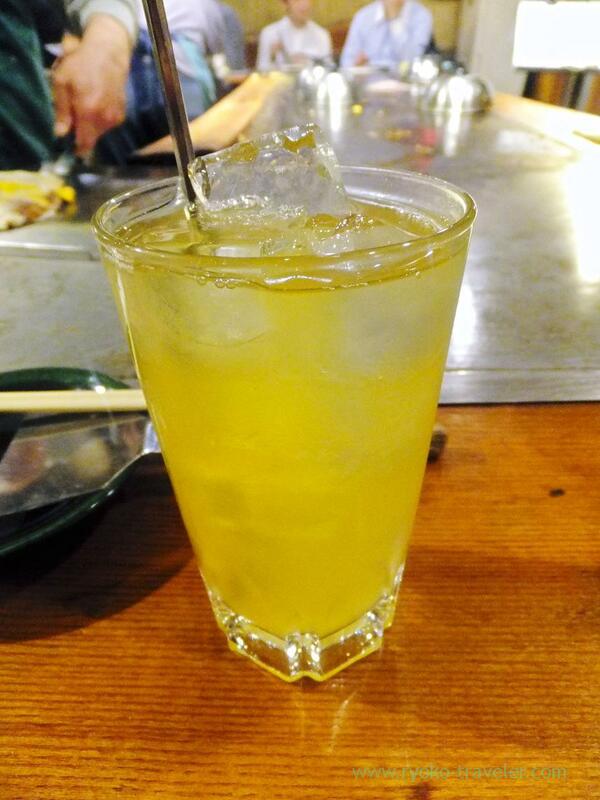 My drink was citron drink (柚子茶, 300 yen). 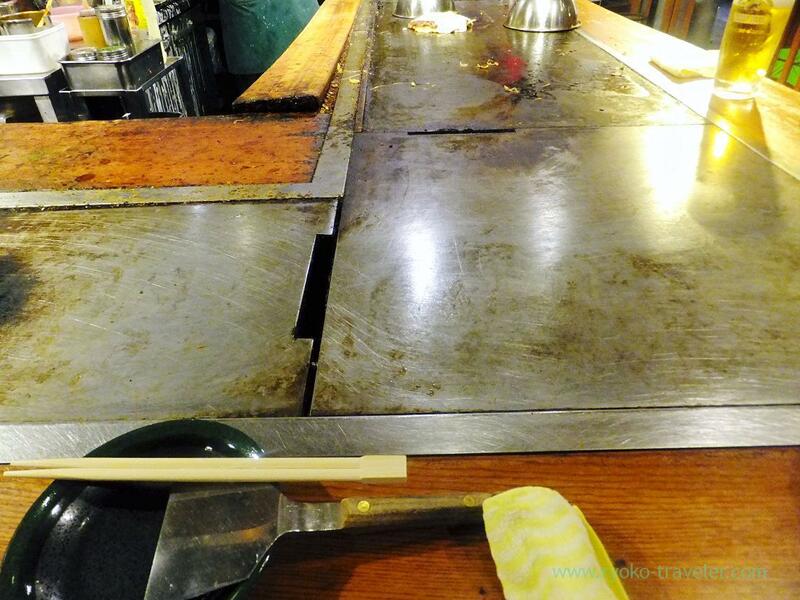 We usually have to cook our foods by ourselves at Kanto region.But at Osaka, the shop staff cook all. I can’t cook well. I wish they cooked our foods basically. 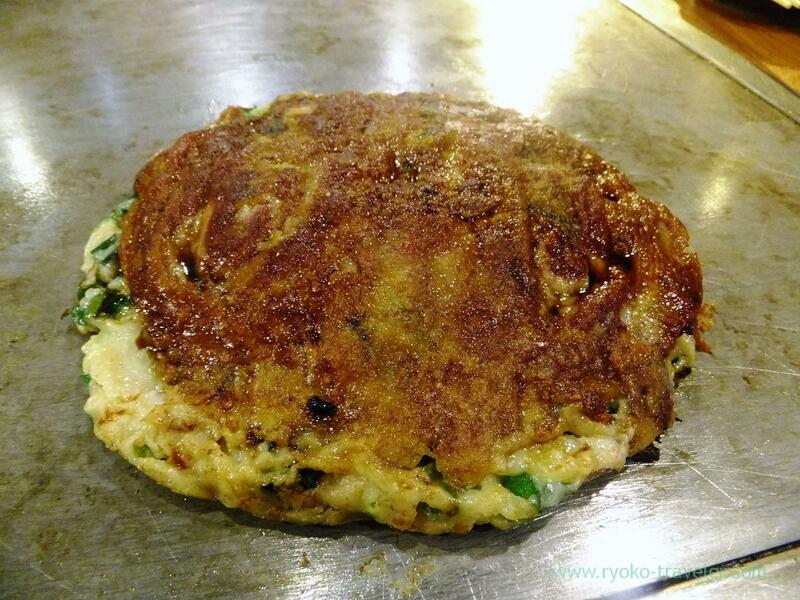 Also Monja…. 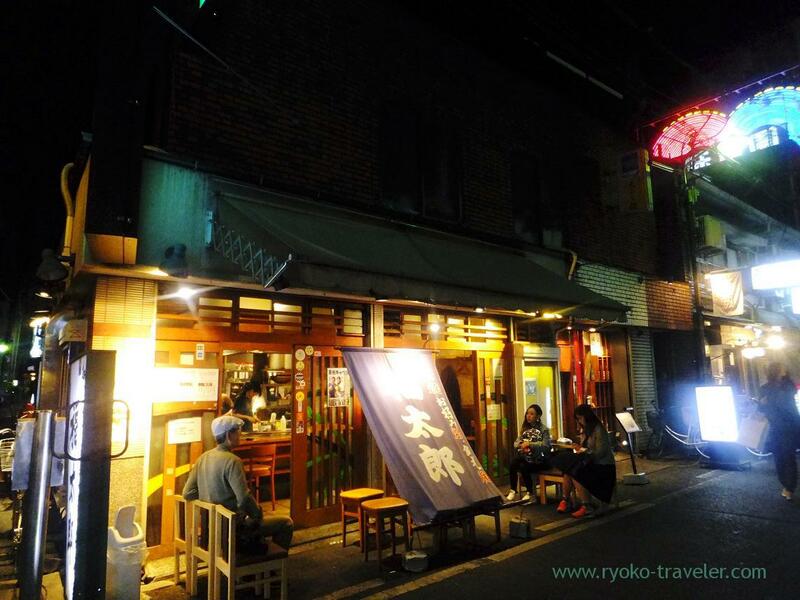 The trouble is, first of all, there’re not much people who can cook well in Kanto region. 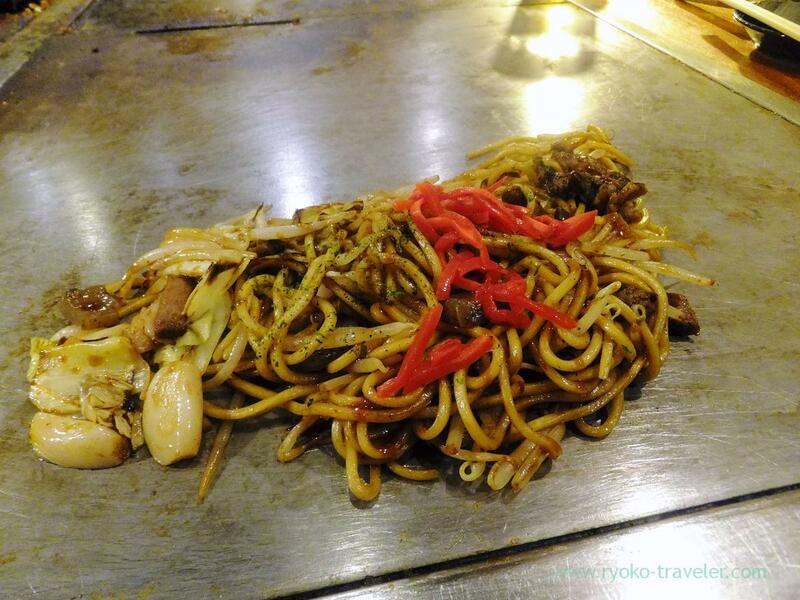 Most of staffs at the teppanyaki restaurants can’t cook very well. We ordered Yakisoba with Tendon (すじ焼きそば) 1080 yen. Tongarikun is original foods of the shop. 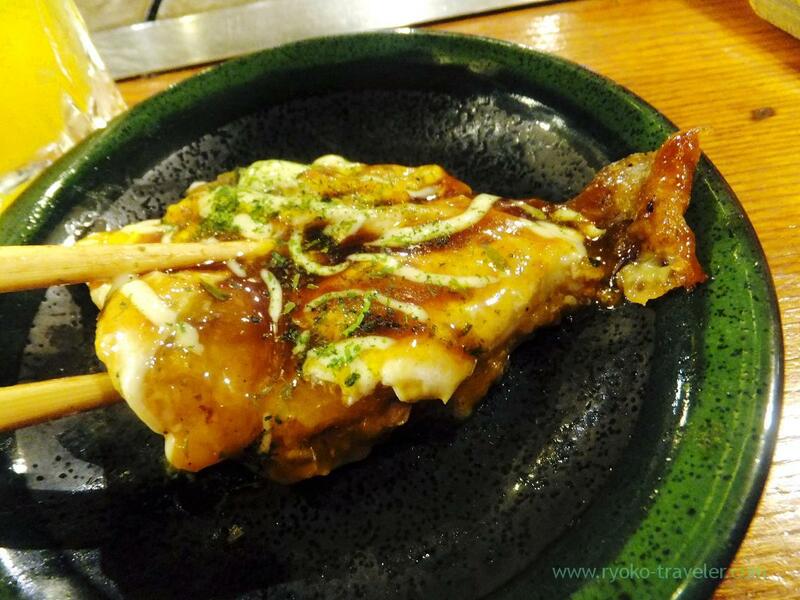 Two slices of pork on half-fried eggs covered with dough of okonomiyaki and sauce. As you see, the yolks were almost raw. Last, Negiyaki with pork (豚ねぎ焼き) 980 yen.